It's no secret that Costa Rica is famous for coffee. On this tour, you'll be exposed to the wonderful world of coffee, including its history, tradition and present-day production. You'll also learn about the growing, harvesting, and production of chocolate and sugar cane. 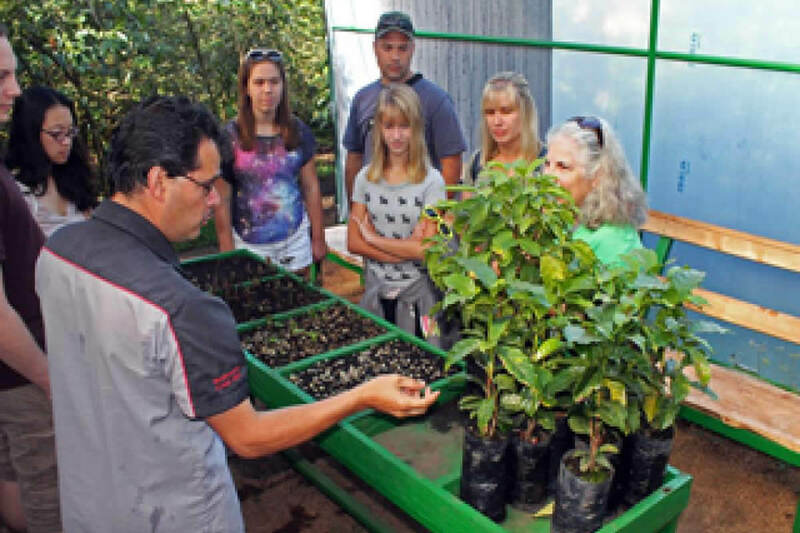 This tour begins with an introduction to the history of coffee in Costa Rica, including its cultural and socio-economic importance. You'll then examine the life cycle of a coffee plant – from seed to plant to fruit. Afterwards you'll learn how coffee cherries are picked and also talk about the workers who immigrate here during harvest season. When coffee cherries are ready to be picked (from November till February), tour participants are invited to pick a few cherries. You'll then learn how pulp was traditionally removed from the coffee cherry, and discover how the cherry is washed and separated. 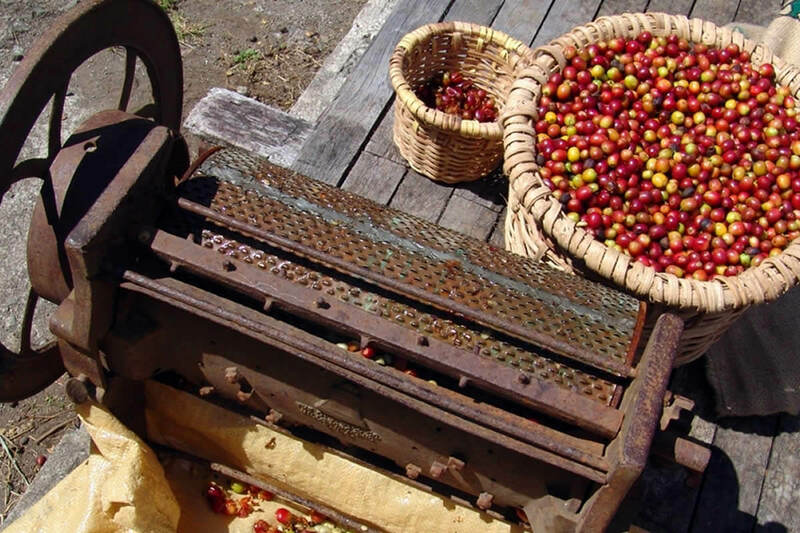 At the drying patio, you'll see how Costa Rica's hot and dry climate allows the coffee beans to be spread out on a large patio and dried naturally in the sun. 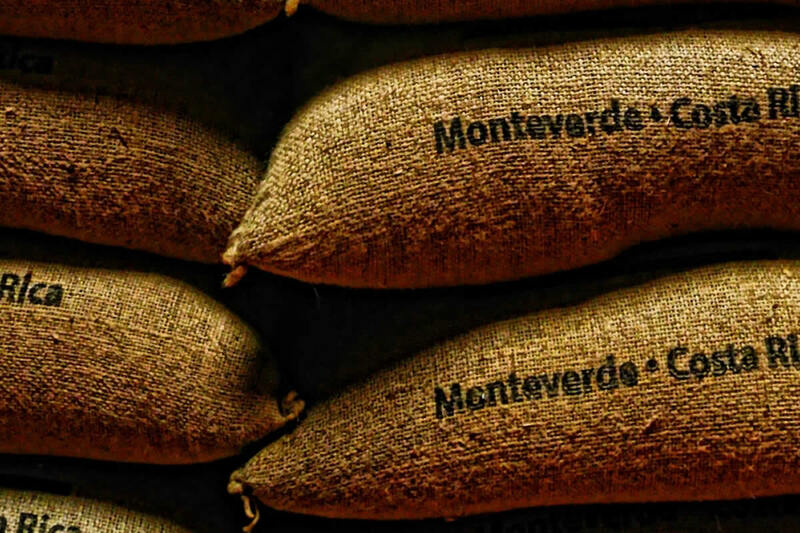 At the warehouse the coffee beans are stored in big fiber sacks that allow the beans to breathe and complete their aging process. This is also where the selection of coffee beans, the roasting, and the packaging of Don Juan coffee is done. 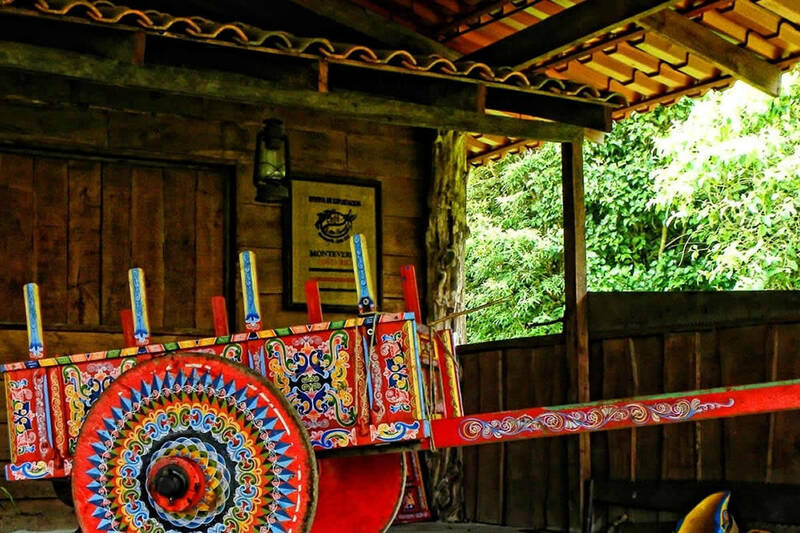 You will then be given the option of riding in a typical ox cart—this is a fun way to experience how Costa Ricans used to travel. 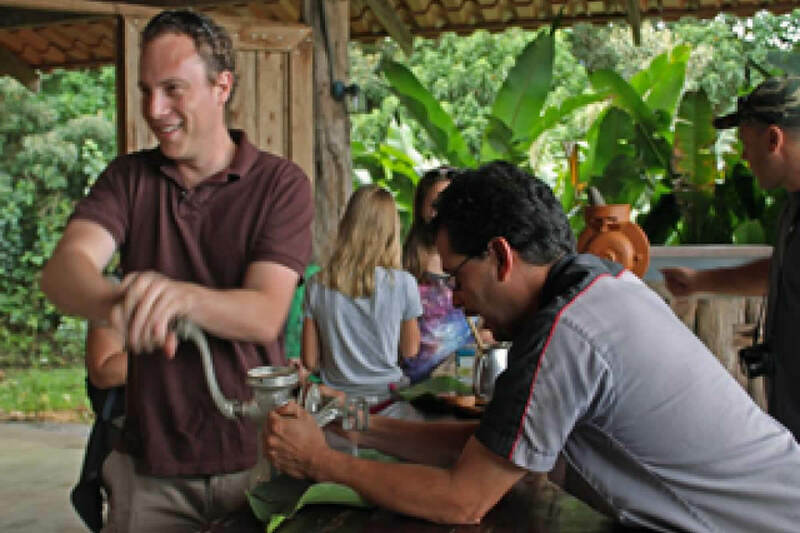 At the end of the tour you'll be invited to try a deliciously fresh cup of coffee at the La Casona restaurant. This tour also includes a visit to the chocolate processing center. 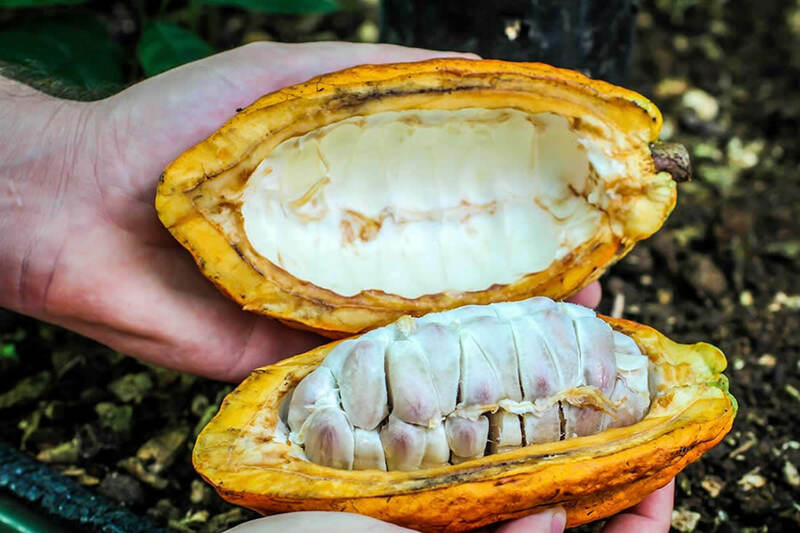 Here you will participate in the chocolate-making process and have the opportunity to learn how small cocoa beans are converted into chocolate. You'll learn about traditional methods used to roast and grind the beans, and try a range of tasty chocolates. 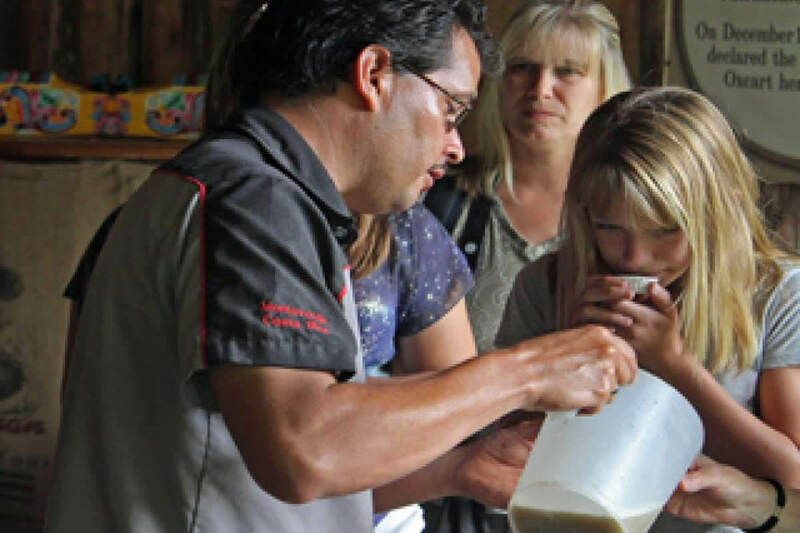 Finally, you will learn about sugar cane in Costa Rica. Your guide will help you extract sugar cane in a traditional fashion, and you'll get to enjoy a glass of pure sugar cane juice. A sweet ending to a sweet tour! Tour Guide, coffee picking, and plantation tour. Comfortable clothing, camera, and sunscreen, insect repellent.